Recently we had the chance to try the new Hot Wheels Nitro Speeders at our house. Actually, the boyz played with it for quite awhile to celebrate the end of the first day of school. It is a really small remote controlled car brought to you by the iconic Hot Wheels . So da boyz put it to the test. What we found was that this mini car is SUPER fast. Seriously. Like before you know it it has gone under the couch out the other side and down the hallway. The little boyz especially were squealing with delight and running after it. The fact that it works with the standardHot Wheelstracks that the boyz have tons of already was a huge bonus for the older boyz, who definitely pushed it to its limits. The one downside is the 25 minutes it took to charge the car initially out of the box. When opening a new toy, the kiddos want to play with it NOW. But it was definitely worth the wait. The thing that I love as a parent is that the car stores right inside the controller. No teeny tiny car floating in the toy box all on it’s lonesome trying to be found. Just find the one decent size controller/charger and storage device all in one! We love this, and one lucky reader will win a Hot Wheels Nitro Speeder of their very own! Just leave a comment telling me who you would give the prize to if you won. This must be done first, or no other entries will count! 1. Add our Facebook Page! Come back and comment here. 2. Follow me! If you become a Google Friend Connect follower of MommaDandDaBoyz, or already a follower, leave a comment for an additional entry. 3. Follow me on twitter and comment back here for another entry. 4. Tweet this giveaway on twitter. Comment here with a link to the tweet for an additional entry. You can do this once a day for the duration of the giveaway for added entries. 5. Grab my button and post it on your blog. Comment and put the link to your site. 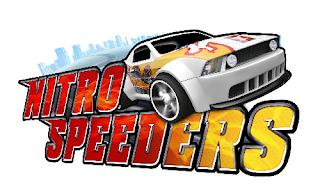 The Hot Wheels Nitro Speeders will end at 11:59 PM on September 15th. I was provided with the review product and one to giveaway without charge through MomSelect. All opinions expressed are my own. My Nephew would love this! My son is a little too young for it at this point I think. I would give this to my nine year old who would love it. I would give this to my son who will be 5 in October if I won!